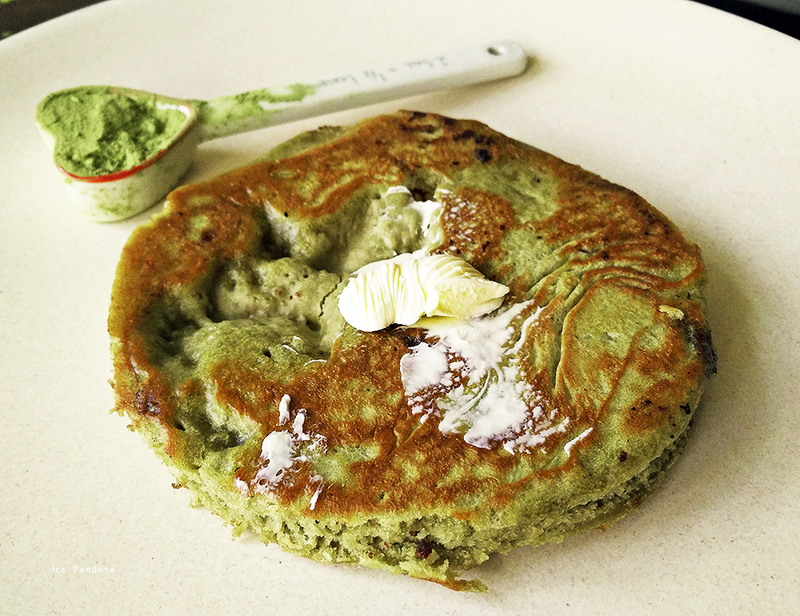 Everything matcha is a winner to me and when food-blogger Tiffany from Tiffany Bee posted a 'Pumpkin pie matcha pancakes' I was sold. Why didn’t I come up with this easy yummy recipe before?! After reading the recipe I had to adjust a bit of the recipe because my country doesn’t sell pumpkin puree/paste which was needed. 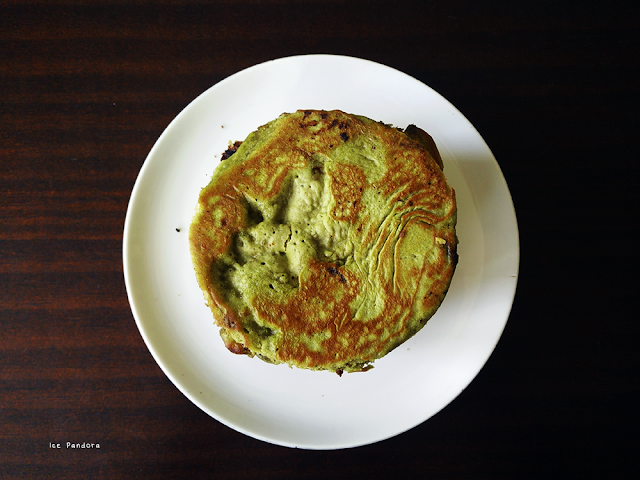 And yes I know you can make your own pumpkin goods but making pancakes suppose to be a quick non-stress recipe so I feel happy to be lazy this time and bake pancakes without the pumpkin. And this made the green tea the star of the pancakes with chocolate drops as a sidekick ingredient. 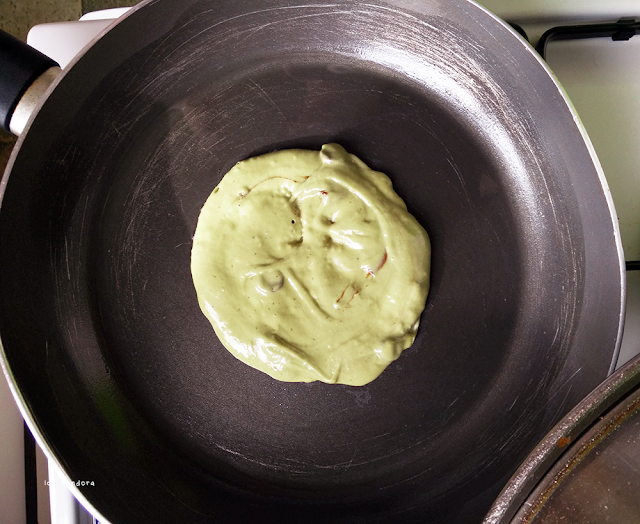 The pancakes are American style of pancakes which means they are fluffy and thick! Please try to make them, Are you a tealover? Then you should totally make them! 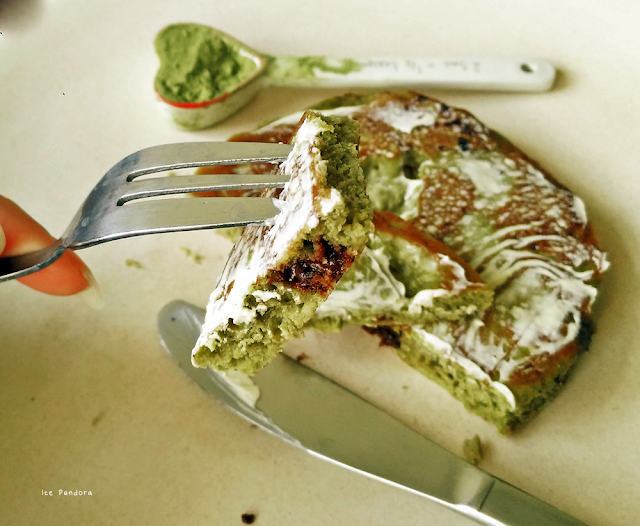 De smaak matcha ofwel Japanse groene thee blijft altijd een voltreffer voor mij en wanneer voedsel-blogger Tiffany van Tiffany Bee een recept van 'Pompoen en matcha pannenkoeken' postte, was ik verkocht. Waarom kwam ik niet eerder met dit makkelijk recept?! Na het lezen van het recept moest ik het recept beetje aanpassen, want pompoen puree was nodig en kant-en-klare pompoen puree was helaas niet te verkrijgen in Nederlandse winkels (of wel?). Natuurlijk kan jezelf homemade puree maken, maar pannenkoeken bakken is voor mij een snelle en non-stress koken . En dus vond ik dat ik alle recht had om lui te zijn en de pompoen eruit te laten. En zo kreeg de groene thee de hoofdrol in dit recept samen met de chocolade druppels. Deze pannenkoeken zijn dik en luchtig, net als de Amerikaanse pannenkoek. Probeer ze lekker uit zou ik zeggen! 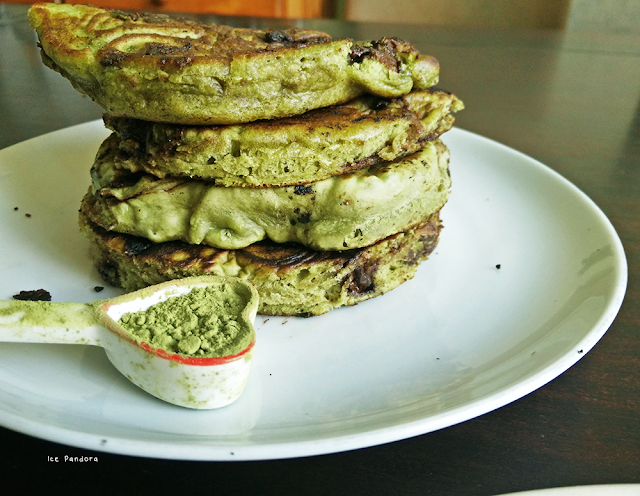 Chocolate drops gives spotted effect nside these matcha green tea pancakes, like chocolate chips cookies! 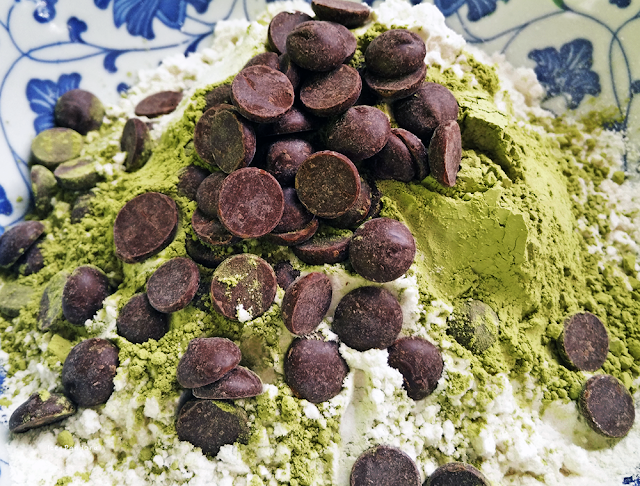 But of course you can replace the chocolate drops with powder but this will make the better less green. 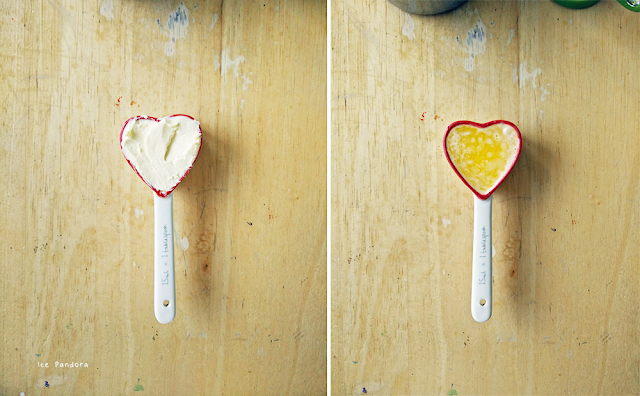 1-2 tablespoons and smear it out with the back of the spoon to create a circle. All the pictures in this post are made with my mobile phone (One Plus One). Combine all dry ingredients (incl. the chocolate drops) in a bowl and set aside. Beat egg, milk, & butter together. 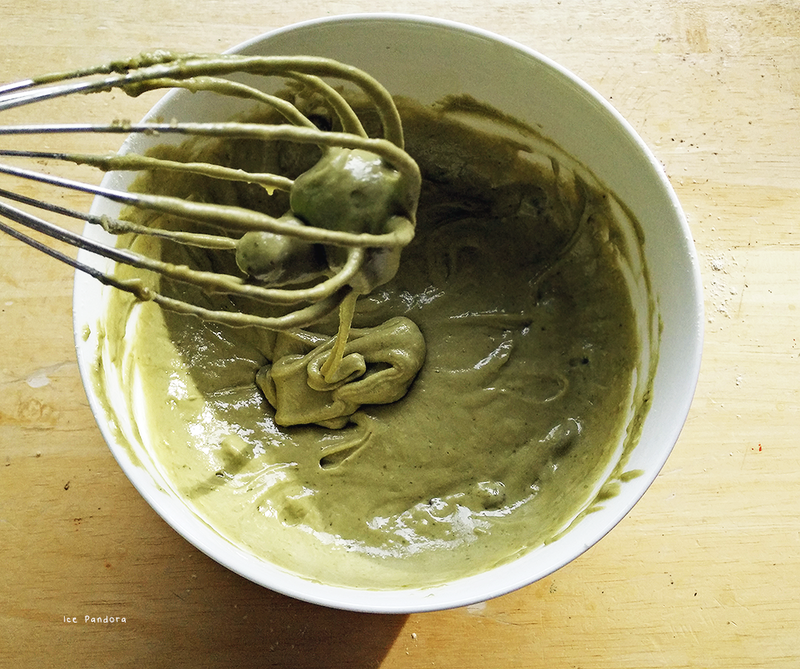 Gently stir in with the dry ingredients and with a whisk mix it all together until it's a thick, smooth consistency. Don't worry about the chocolate drops for not absorbing into the batter! Woah, those are some super thick pancakes! 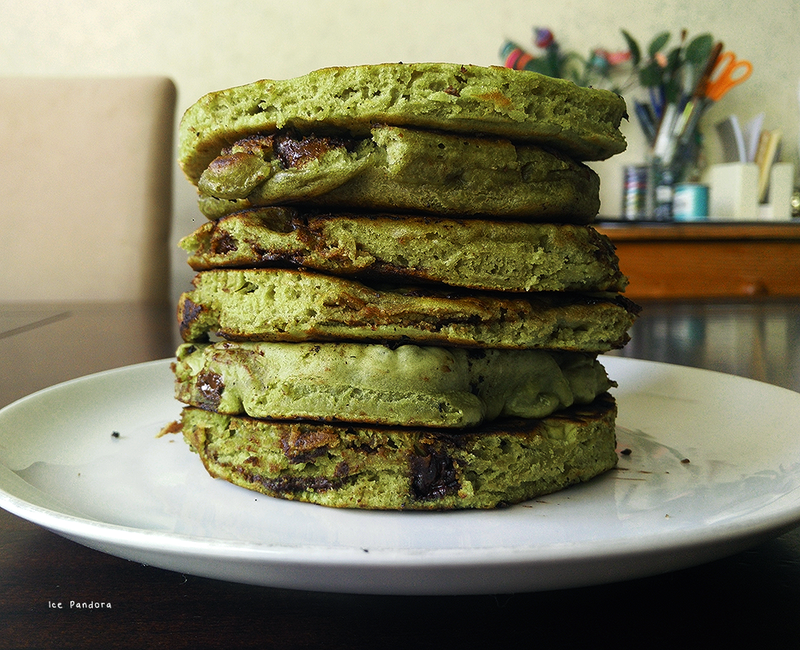 Still looks great, though, I'm a fan of matcha anything. my kids do not drink green tea..probably will substitute with other flavour. Oh my gosh those sound simply perfect!! And interesting about not being able to find pumpkin. Here in America everything pumpkin is shoved down our throats for about four months straight. Haha!